Yesterday when we pushed the version 3.0.3 we didn’t know that one day after, we’ll push a new build. We’d some time to take a look on DragonBones, the Open Source 2D skeleton animation solution for Flash. Quickly, it appears that it was a must have to support into the Citrus Engine. One hour later, it was already included! At the same time we have created a new ObjectMaker class exclusively for Starling, to improve performances. Therefore we have updated the parser for the Tiled Map Editor software. This update has been pushed quickly so every guys going to the Adobe Game Jam in Chicago can test this new features. Also we’re very pleased to announce that Nick, a CE’s contributor, will be present at this game jam! DragonBones support for StarlingArt class. Moved ObjectMaker2D & 3D classes and tmx package into a new objectmakers package. Create a new ObjectMakerStarling class with a parser for Tiled Map Editor’s files optimized for Starling. Our beloved Patch character meets the Dragon, quick demo. 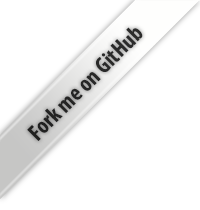 You can find all the demo code on the GitHub for examples. Be careful, we’ve modified “stand” Dragon’s animation name into “idle” so it respects Citrus Engine’s Hero animation name. We’ve created a new ObjectMaker class exclusively for Starling, to provide optimized graphics. ObjectMaker2D stays compatible with Starling but you should use ObjectMakerStarling class if it provides method for the Level Editor you use. At the moment, there is a parser for Tiled Map Editor which use TextureAtlas and Quad Batch instead of Bitmap. Check its code example here. Here we’ve created a TextureAtlas (Genetica-tiles-atlas, you may need to check the Extrude option using TexturePacker) with all the tiles. In the editor, we import the Genetica-tiles png and for each tile we give it the name corresponding to its texture atlas name. That does the trick! Open the map-atlas.tmx and check how we named a tile. We can automate the process easily writing a simple script and copy/paste the result. A video tutorial is in the pipeline. That’s it for today. Have a nice meetup with Nick at Chicago! I have a problem with my old version, when I load a lot of elements with low internet connection, it changs. when it slow and many, objects are already created and running, without displaying the scene, so sometimes before seeing the hero is already dead, I think the problem is between LoadManager ObjectMaker and it is a problem of performance and load management , do you think with this new version the issue is fixed ? – use a tool like LoaderMax to preload everything and then create your game state. Provide for each object a view preloaded. – disable Hero and Enemy controls/movement while view.loadManager.bytesLoaded / view.loadManager.bytesTotal * 100 isn’t equal to 100%. What kind of script do you mean? Thanks for the great work. Hopefully, I’ll be done with this game soon! Hello, I have a problem, when I use citus with dragonBones, I don’t know where is the Update Method. I only view the static image. But I can’t animate. Hey did you use Dragon Bones v2 ? You will need the citrus build on the Github. You will have to use the Citrus Engine version on the GitHub before a new one is generated.